Today's diesel fuel industry is far different from what it was just a decade ago. Changes in diesel engine designs, driven by increased EPA regulations, have caused critical issues for Original Equipment Manufacturers as well as for those who operate diesel engines in their fleets. In this article, we will discuss several leading issues regarding today's diesel-fueled engines, as well as steps that sweeper owners and operators might want to consider for preventing premature diesel engine failure. This article is a followup to two other articles we have produced about solving the DPF system problems sweeper owners have with Isuzu chassis outfitted with Tier 4 diesel engines. 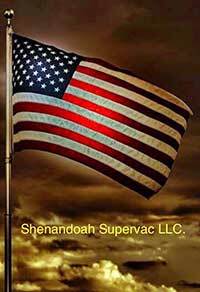 Our primary impetus for this article came from Craig Crissman, the owner of Shenandoah Supervac LLC, which is located in Buena Vista, Virginia. In an email to WorldSweeper, Crissman said he had read about the Diesel Particulate Filter (DPF) problems with sweeper-mounted Tier 4 diesel engines, at WorldSweeper.com and elsewhere. He was also well aware of the changes that have occurred with diesel fuel in the last few years. Crissman was contacting us to report on the action he had taken to see if he could find any solutions and, more importantly, that he'd found some techniques that he felt represented at least a partial solution for the widespread reports of diesel engine de-rating caused by systems using Diesel Exhaust Fluid (DEF). From 1988 to 2009, the year he bought Shenandoah Supervac LLC, Crissman worked as a technician for both gasoline and diesel engines. Although he originally started working for Chevrolet, he ended up working primarily on big trucks and heavy equipment. At Shenandoah he has both diesel and gasoline sweepers. After tracking both, says Crissman, there's no question that the diesel units perform better as well as have a lower overall lifetime cost of operation. In 2011, he bought a Schwarze Gale Force that was outfitted with the now required DEF system. After reading about the many complaints lodged about the new diesel engines and hearing people discuss the problems they were having – and the expenses to take them into the shop – he started using several products by Texas Refinery Corporation (TRC), including oil, fuel additive and grease. Basically, Crissman says, his intent was to see how long the Gale Force would run without having problems. After reading the article I had previously written on the topic of DPF problems and seeing the problems that other people have reported, Crissman decided to get some significant hours on his Isuzu/Gale Force chassis, at which time he would pull the filter and have it tested. The normal expected life of an 'on-the-road, every-day driven' truck's DPF filter is 100,000 miles or 3,000 hours. However, as readers know very well, in the sweeping industry many hours are typically not driven at highway speeds. Also, sweepers operate in a lot of dust and dirt. As a result, Crissman says he's learned to perform some of the maintenance on his vehicles more based off hours than on miles. That said, because of the test he wanted to do with the TRC additives Crissman waited until he had 104,016 miles and a whopping 6,313 hours on his 2011 Isuzu/Gale Force chassis. When he finally replaced the DPF filter he then sent the old one to Mike Rossetti, Isuzu Commercial Truck's Director of Field Operations, to be tested. At filter changeout, the truck was running fine and had no issues. "I've known Craig Crissman for about two years now," said Rossetti, "and have found him to be one of the most educated consumers I've seen in my many years at Isuzu Truck. He appears to know his sweeping business, but he also knows his trucks and the importance of keeping them running right. If I could bottle him, I would. "I also want to be on record as noting that what Craig did in this instance was an unusually severe wear test in order to compile data. Isuzu definitely recommends that DPF filters be cleaned and/or replaced at 100,000 miles at a maximum of 3,000 hours. That is our recommended standard procedure on this class of vehicles." Rossetti sent Crissman's filter to a local company that offers DPF diagnostics and cleaning using a patented system made by FSX. It's a machine the FSX organization calls 'The Gold Standard' in the DPF cleaning industry. FSX, Inc. pioneered the machine and now sells its DPF filter cleaning equipment to truck dealers and fleets throughout the world. Included is a kiln that will bake the filter and then another machine that cleans it. For reference, a brand new DPF filter has a backpressure of 3.17. Crissman's used filter came in with a backpressure of 4.2 and then cleaned out to 3.2. Both Rossetti and Crissman found the low initial blockage, as well as the cleaning results, to be extraordinary. If you'd like to see a PDF of the actual report, use this link (will open into a new browser window). "The backpressure normally seen at end-of-life on a sweeper's DPF filter – again, we consider that to be 3,000 hours/100,000 miles – is 5.0 to 7.0," said Rossetti. "At that point, many times the filters are not even able to be cleaned. However, one of the reasons for that is often lack of proper care. Something I want to stress is that today's diesel engines no longer have a downdraft, or blowby, tube. Previously, if too much oil was added to a diesel engine the excess would exhaust from the downdraft tube. "Today, the EPA is requiring more environmentally-conscious diesel engines. If someone adds too much oil, the excess will end up in the intake system where the engine will try to atomize the motor oil along with the fuel. Since that cannot occur the oil ends up in the DPF filter, prematurely trashing it." When designing his test, the oil Crissman was directed toward by a Texas Refining Corporation representative is called 'Moly Pro Spec 4,' a synthetic blend. The fuel additive he also used is called 'DZL-PEP,' an additive that boosts horsepower while, at the same time, providing a cleaning agent for injectors as well as a rust retardant that inhibits corrosion (think rusty fuel tank interiors...). During our conversation, Crissman also mentioned that he has had excellent service from TRC's 'Moly Paragon 3000' grease, which contains 5% Molybdenum and is designed for extreme load-bearing service. Molybdenum is a silvery metal with a gray cast that has the sixth-highest melting point of any element. The combination of the changes in diesel fuel and the Tier 4 engines makes it extremely important that sweeper owners take proactive steps to keep their engines in good condition. Those with an IDSS scan tool can and should perform periodic 'Health Reports' on their engines. These will show you a variety of items including how many hours on the DPF filter, fuel usage, regeneration percentage history, acceleration, braking, idle time and more. "The good news is that the investment in having your local Isuzu dealership do a Health Report for you is minimal compared to the value such a test will provide," Rossetti said. "This is especially true if you start to see your interval between regenerations declining." As part of this article I conducted a podcast interview with Patty Collins, a 35-year veteran of TRC and the company's Vice President and National Lubricants Sales Manager. In the approximately 20-minute conversation, Collins discusses in more detail the TRC organization, its products and the testing procedure that is available as standard procedure for its customers. To listen to the podcast, click here or on the TRC logo, above (will open in a new browser window). Texas Refinery Corporation does not actually perform any type of testing. However, TRC provides no-charge engine oil analysis for customers that purchase its engine oil, to help monitor the engine for preventive and predictive maintenance. The data collection also allows the TRC professionals to recommend the extent that drain intervals may be safely extended. This oil analysis is paid for by TRC but actually performed by Wearcheck USA, which lends third-party credibility to the results. Patty Collins may be reached via email sent to pcollins@texasrefinery.com. "It is also extremely important to run quality diesel fuel," said Crissman. "Your Cetane level should be about 40, which you will find is not the case with many suppliers. To find out, have the diesel from where you are buying your fuel tested. Take a sample and send it to a fuel testing lab. Cetane level testing is available through many commercial truck stops like, in our area, TA Truck Stops. "Also, because sweepers operate in such a dusty application, consider replacing every filter on your machine somewhere between 200 hours and 250. Keep in mind that 'normal' recommended changeout times for filters are made for vehicles constantly going 55 or 60 miles an hour. "I know many contractors don't change their fuel filters every time they change a sweeper's oil in order to save a little money. That's because most fuel filter manufacturers boast about a 30,000 mile usable lifetime. But there again, sweepers are constantly in dust. And, in most of these trucks, right where the fuel nozzle is the cap will get covered with dirt. So, it's relatively easy for the vent to get covered with dirt; sometimes the engine will even start pulling a suction and then you'll really start having a problem with the truck. Make sure to keep the vent clean. His data collection process has convinced Crissman that using the TRC products has saved him money even though his vehicle oil's cost is about 25% higher than Rotella and other comparables. He believes that he's had less vehicle downtime and, at the same time, is also gaining extended life on his truck, including the DPF filters and more. In the long run, Crissman says, he knows it has absolutely saved him money. He changes his oil every 200 to every 250 hours; normally, that's about 10,000 miles. His basic message – other than the positive outcomes he's seen with Texas Refinery's products – is the importance of testing. That's the only way, Crissman asserts, of really knowing what's going on with an engine. Although everyone wants to operate a 'least-cost' vehicle operation program, it's very important to realize that what you want to minimize is the overall cost. Testing is the way to find out your baseline. Then, once you become aware of the issues, the next step is to see if there are products you can try that will help solve the problem of any results that didn't test out as optimal. "Another recommendation I want to offer is to stay away from bulk Diesel Exhaust Fluid. As anyone who has used bulk DEF will have seen, the bulk fluid crystallizes in a few hours. You can get crystals all over the nozzle and you do not want those crystals in your tank! Although it is a little cheaper to buy DEF fluid out of the fuel pump, I still buy mine out of the 2.5- or 6-gallon packaged containers. "Some of the individuals that I know in railroading have had a lot of problems with trucks where they've used bulk DEF. If you think about it, railroad vehicles also do the same thing as sweepers. They operate for long, extended hours with the trucks being run below 35 miles an hour. When they used bulk DEF the railroaders tell me they ended up having to replace their NOX sensors repeatedly. "I encourage readers to look around the next time you are at a facility that offers bulk DEF. I predict you will see crystals on the nozzle, around the bolts on the tanks and elsewhere, as well as on the ground. To me, filling from the bulk area is a good way to contaminate your system. I may be overly cautious, but then again I've had no problems with my truck. It's a little cheaper to buy it from the bulk tank but if you compare that with having problems with your truck red-lighting and de-rating – which can require you to tow it in and spend $3,000 to $8,000 in the shop – it's much more cost-effective to go with what you know is safe. 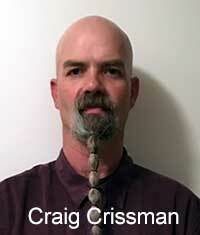 Craig Crissman may be reached via email sent to shenandoahsupervacllc@gmail.com. If you have questions or comments about this interview, please, let us know and, if appropriate, we can add it in as an addendum to this article.